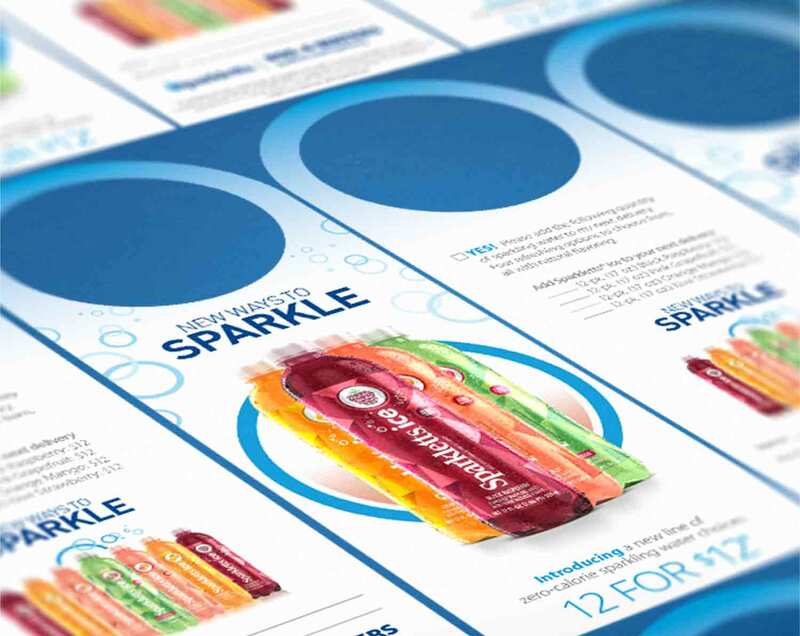 With the U.S. sparkling water market on the rise, DS Services identified an opportunity to capitalize on category growth by leveraging an established regional water brand in their portfolio. 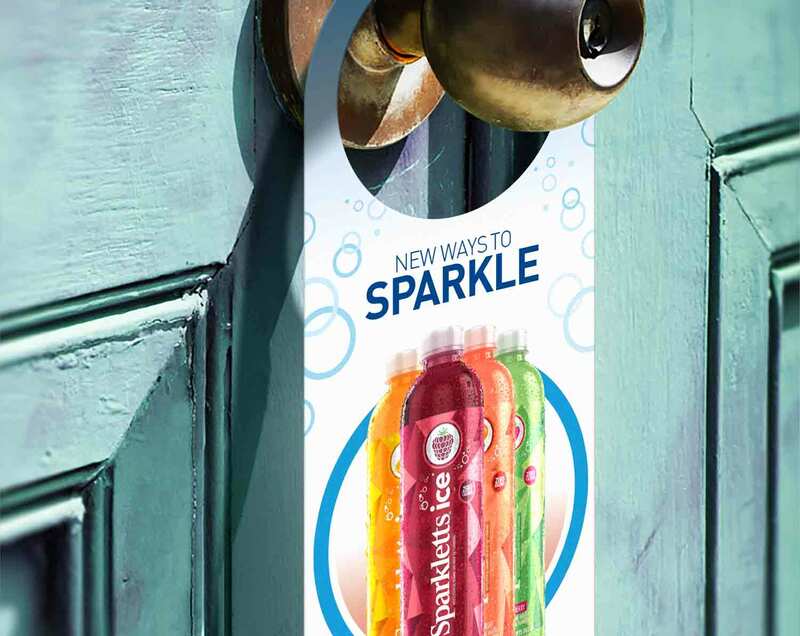 Our job was to help our longtime client create a quick, high-impact launch of the brand new Sparkletts® Sparkling Water and Sparkletts® ice line extensions. But we knew it would first require a thorough review of the category – one that would ultimately captivate the retail beverage category managers and excite consumers. Collaborating with cross-functional teams – across Legal, Manufacturing, Regulatory and Production – we made it a point to ensure compliance and protect the integrity of the new logo design and packaging concepts we created for both product lines. 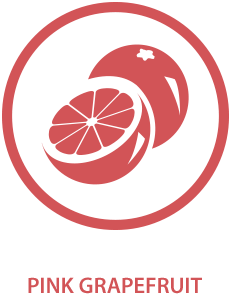 With these foundational elements in place to drive all other creative, we were then able to quickly disseminate the brand attributes across an exhaustive array of traditional and digital support elements – including a sales presentation, introductory email campaign, microsite and more. And the hard work paid off, with enthusiastic commitments from approximately 30 retailers representing over 2,500 stores nationwide in the first 60 pre-selling days alone! 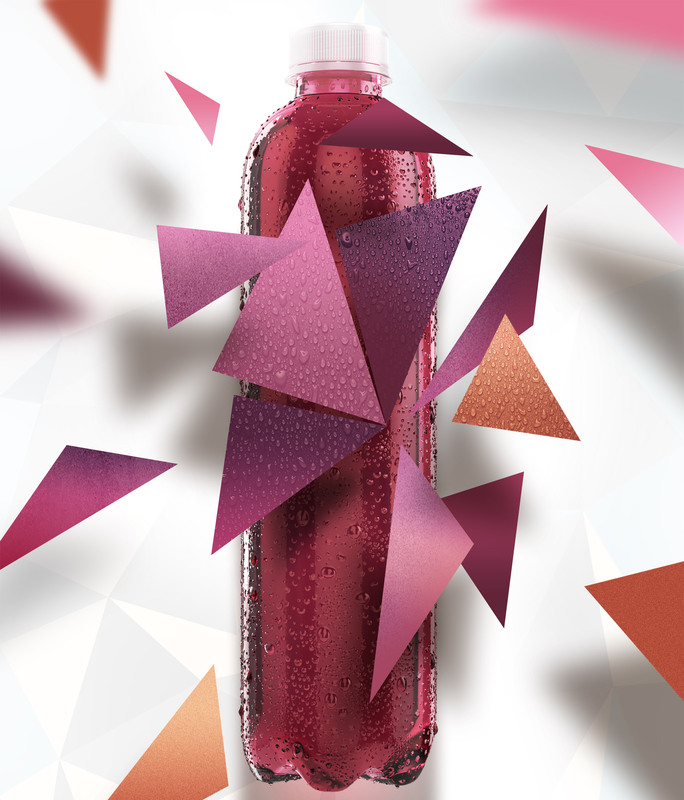 The bold and geometric print we developed for the Sparkletts ice label was directly inspired by the product name. 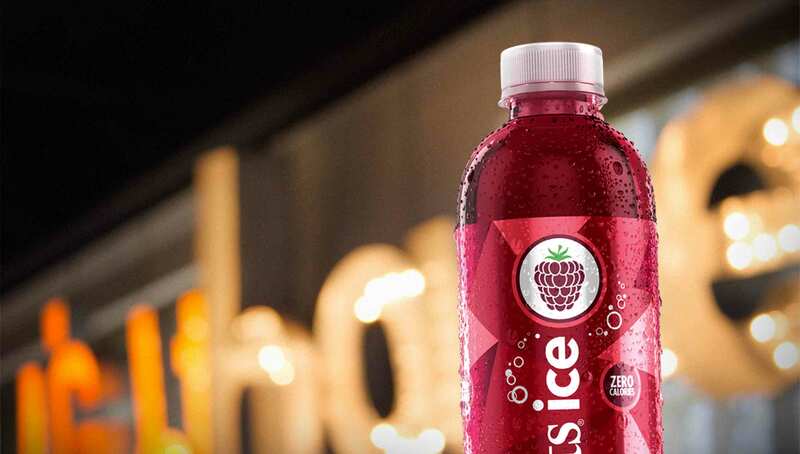 We wanted to graphically capture the “sparkling” quality of ice with a striking graphic pattern that not only felt cool and modern but also allowed for a dimensional quality with monochromatic color variations across the field of triangles. Arming the sales team with off-route sales collateral for the delivery program was our first executional hurdle. This helped to expand internal awareness of the product launch and supporting campaign through corporate publication articles and promotional events. 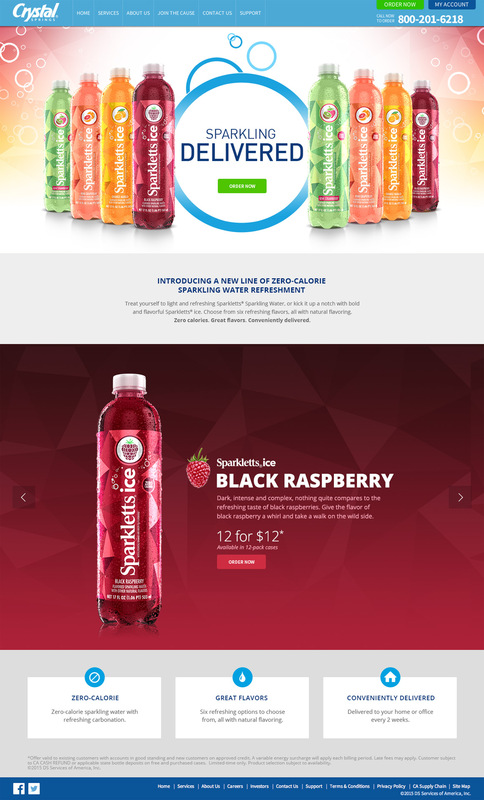 To drive awareness to consumers, we created product launch assets including social platform messaging, homepage hero imagery and an informational landing page. 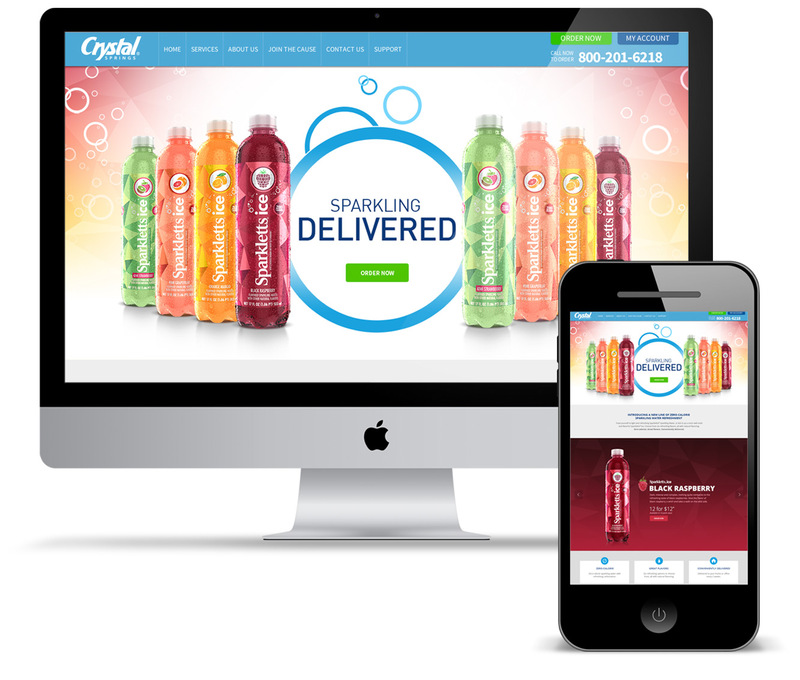 A desktop and mobile-friendly microsite was created to allow the sales team to send targeted emails and share retail-specific sales info with buyers.